Fits the New 3DS (regular size model) console body like the original covers. Replacing the covers is as easy as clipping on and or screwing the cover to the outside of the console, no technical disassembly is required. Size of NINTENDO NES LOGO is Sticker has a clear protective film covering the exterior which should be removed after application. 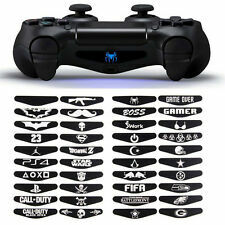 SKU: Z300 Features: 100% Brand New and High Quality Removable vinyl decal sticker to cover your light bar on a ps4 controller. The vinyl used is removable high grade matte black so it will not leave sticky residue that requires chemical removal. There is NO background to this sticker. The Controller is not included. Size: 5.3cmX1.2cm(LXW) Material: PVC Color: Black Transparent Quantity: 1 Pack/40 PCS Net Weight: 25g Note: Lighting, display and other factors may cause COLOR SHADING, please comprehensive pictures and text descriptions to determine! Package Includes 40 x Stickers. X 2 CAPCOM Stickers. Stickers are precision cut on backing paper just peel and stick. This superb quality decals Are made on a 7-10 year waterproof vinyl and printed in high quality eco solvent inks. (Nintendo 64). Material: Printed on high quality vinyl (PVC) sticker. soft tool or your fingernail to ensure the sticker stays on the. the sticker, make sure your surface is free of dirt, dust and/or. This sticker has a white background and is NOT on a clear background. Size of sticker is: 200mm x 60mm. Can be applied to almost any clean, smooth surface, suitable for indoor and outdoor application. Material: Printed in hight quality viinyl (PVC) sticker. the sticker, make sure your surface is free of dust and/or. soft tool or your fingernail to ensure the logo stays on the. Contoured cut (letter-by-letter) with ampty areas between. Size of SUPER NINTENDO SNES LOGO is super durable and super adhesive. Sticker has a clear protective film covering the exterior which should be removed after application. 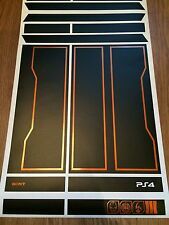 Here I have for saleMORTAL KOMBAT 11 Vinyl decal stickers for the XBOX ONE Slim. They are Not cheep printed stickers, They areHigh Quality Vinyl's that are machine cut and finished by hand. All artwork has been independently drawn. 3D Textured Carbon Fibre. This self adhesive skin sticks to the body of your Console to instantly give your handset a fresh new appearance, whilst protecting it from dust and scratches. You can simply install the rear centre piece to achieve the Console look or go all out and cover the entire handset to really stand out from the crowd! Depicts high quality imagery of Pok é mon Pickachu. High-quality vinyl Skin Sticker for Nintendo 3DS XL. Original Nintendo 3DS XL console is not included. This design is available in all Nintendo Handheld formats. Size of SEGA LOGO is super durable and super adhesive. Sticker has a clear protective film covering the exterior which should be removed after application. Width 0.70in x High 0.15in. 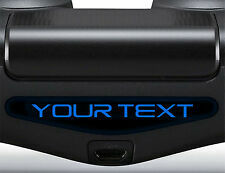 1 X Decal (Kinect ). 1 X Decal (XBOX ONE). Easy to install and remove, the cover leaves behind no sticky residue. Our products are fully approved for UK use. High-quality vinyl Skin Sticker for Nintendo DS Lite. Depicts hi-resolution images of My Little Pony. Nintendo DS Lite console is not included. This design is available in all Nintendo formats. 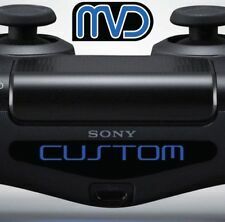 These skins are printed onto high quality vinyl and profile cut to shape around the buttons/screen etc. 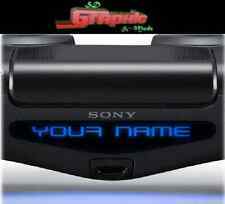 Play Station. Material: Printed on high quality vinyl (PVC) sticker. With transfer film on top for an easy application! How to apply: First rub the top (transfer) film with a. the sticker, make sure your surface is free of dust and/or. Size of SEGA DREAMCAST LOGO is super durable and super adhesive. Sticker has a clear protective film covering the exterior which should be removed after application. SUPER NINTENDO. Material: Printed and cut from high quality vinyl (PVC) sticker. Before applyingthe sticker, make sure your surface is free. and printed, white lettering. Empty area around the logo and transfer. APEX LEGENDS. I am sure you will agree these look very cool! I had this Idea back in Dec 2016 and I now have a pretty big collection to chose from. Crash Bandicoot. They are Not cheep printed stickers, They areHigh Quality Vinyl's that are machine cut and finished by hand. The skin is made of high quality vinyl stickers,not paper. Easy to stick on and to remove.No special skill required. No tear, no curl, no fade and no trace when being peeled. We provide great products and service. SEGA Saturn. Material: Printed on high quality vinyl (PVC) sticker. the sticker, make sure your surface is free of dust and/or. soft tool or your fingernail to ensure the sticker stays on the. Contoured cut (around the logo) with empty areas. For NEW Nintendo 3DS XL (with C Stick). NEW Nintendo 3DS XL console is not included. This design is available in all Nintendo formats. Pokémon Vinyl Skin Sticker. 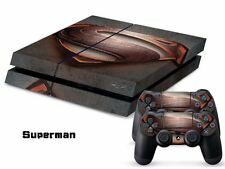 1 x lid skin. 1 x base skin. 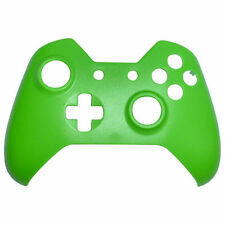 These skins are printed onto high quality vinyl and profile cut to shape around the buttons/lights/screen etc. I am sure you will agree these look very cool! I had this Idea back inDec 2016 and I now have a pretty big collection to chose from. Crash Bandicoot. (again be aware of the cheep stickers out there. ).